No more frozen fingers during cold weather season! Toss this 4-inch heart in the microwave for 30 seconds and it will warm your pocket and fingertips for over 15 minutes, keeping you toasty warm. 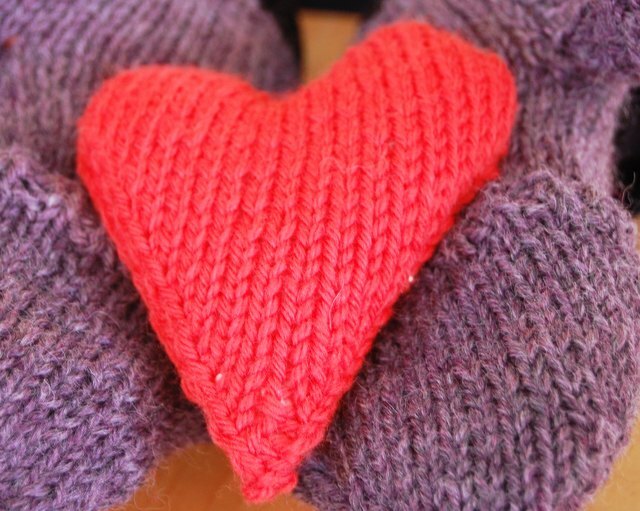 It’s a quick weekend knit, and this heart-warming project would make a wonderful gift for someone you love. 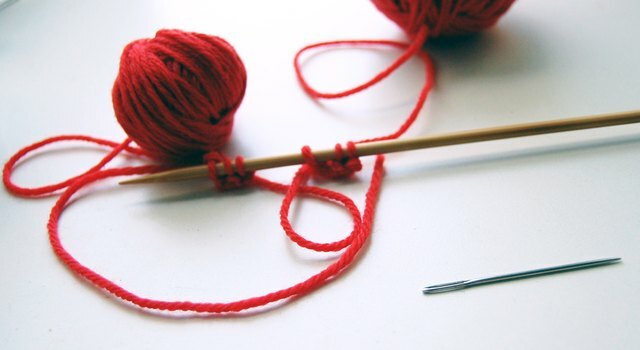 Figure out your gauge by knitting a swatch. Cast on 25 stitches and knit a 4 x 4 inch swatch. 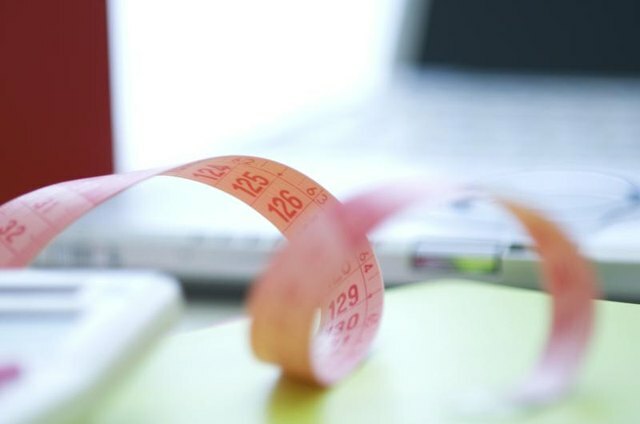 If you have fewer than 4.5 stitches to the inch, go down a needle size. If you have more stitches than 4.5 stitch to the inch, go down a needle size. Wind the yarn into two balls. Cast on 3 stitches with one ball. Slide these down the needle. Cast on 3 more stitches with the other ball of yarn. Knit 1, make 1 , knit 1, make 1, knit 1. On the next set of 3 stitches knit 1, make 1, knit 1, make 1, knit 1. You now have a total of 10 stitches on your needle divided into two groups of 5. Purl the next row and all wrong side rows. *Knit 1, make 1, knit to last stitch, make 1, knit 1. * Repeat from * to * on the 2nd set of stitches. 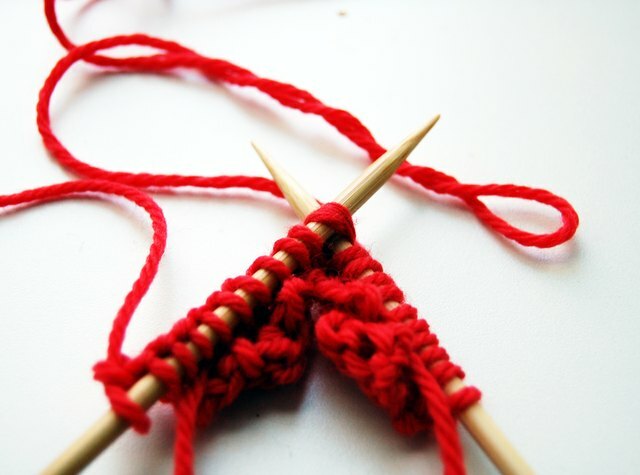 Continue knitting and increasing in this manner until you have a total of 22 stitches or 11 of each set. Knit 1, make 1, knit 9, then knit together the last stitch from the 1st set and the first stitch of the 2nd set. 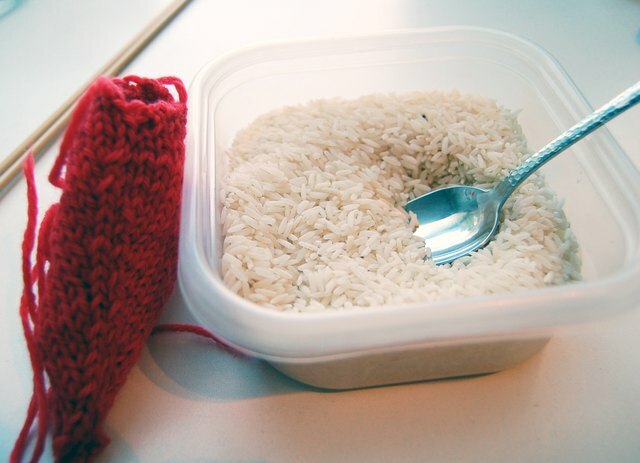 Knit 9, make 1, knit 1. Cut the second yarn, leaving a 4 inch tail. Purl 1 row. Knit 1 row. 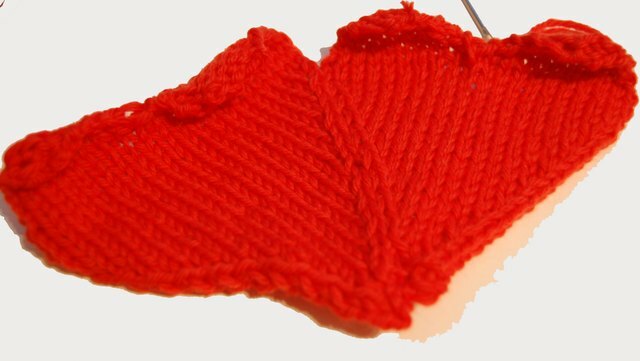 To decrease for the main body of the heart, *knit 1, knit two stitches together through the back loop. Knit to the last 3 stitches, knit 2 together, knit 1. Purl the next row. * Repeat from * to * until only 5 stitches remain on the needle. Knit 1, Slip 1, knit 2 together. Pass the slipped stitch over the previous stitch. Knit 1 for a total of 3 stitches remaining. Slip 1, knit 2 together, pass the slipped stitch over the previous stitch. 1 stitch remains. Fasten off. Weave in all tails with the tapestry needle. Block the heart by pinning it lightly to a pillow or your ironing board. Mist with water. Allow to dry thoroughly. Seam the hearts together using the tapestry needle. Leave a small opening, large enough to insert the rice. Stuff the heart with rice until it is full but not to the bursting point. Sew up the gap and weave in the tails.